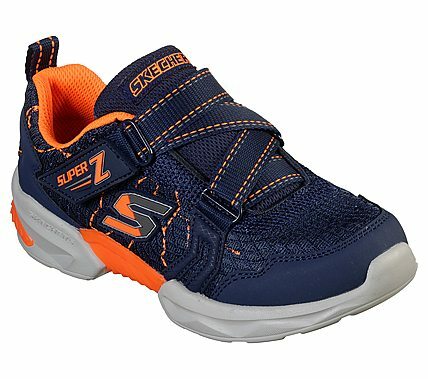 Charge up his sporty style and comfort levels with the SKECHERS Techtronix - Direct Current shoe. Mesh fabric and synthetic upper in a zigzag strap front athletic sporty training sneaker with stitching and overlay accents. Air Cooled Memory Foam insole.